Our small group exercise programs are run by expert physiotherapists and accredited exercise physiologists. Health fund rebates are available. Call us to book your spot – small group exercise programs ensure that you achieve great outcomes, and help you to enjoy an active healthy life. 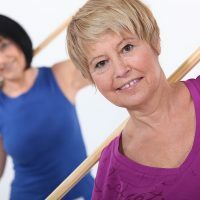 Specialised classes are also available for Diabetes and Prostate Cancer from our Jordan Spring rooms and our Seniors Class is run from our Caringbah rooms.